DJ Scott Arnett is fantastic! The term “MC” means “Master of Ceremonies”. 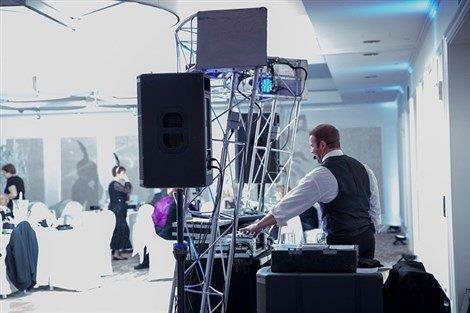 DJ Scott Arnett lives up to this title with mastery over all types of ceremonies from weddings and school dances to corporate functions and fundraisers. He draws on years of experience to ensure your event is a complete success. Scott is passionate about preparation, attention to detail and above all meeting your needs. A wedding reception can be an overwhelming. When do you cut the cake? When do you start the first dance? DJ Scott Arnett will guide you through all the formalities, removing any guess work. He will call you prior to the reception to discuss details and answer all your questions. He will coordinate with your wedding planner, photographer, banquet manager, parents, and anyone else involved to deliver the best reception possible. He covers all the bases so you can relax and have fun. DJ Scott Arnett understands music can make or break a party. He comes prepared with thousands of songs from the 40’s to today’s latest hits. Scott has everything from disco and country to 80’s and rock. Most importantly, he understands that your musical taste will always come first. Scott avoids songs with questionable content and only plays music appropriate for your event. He takes song and volume requests to accommodate all of your guests. He reads the crowd and knows when to change things up. Scott is interactive and makes it a point to include everyone. He sees to it your guests are involved and have fun. Scott was our DJ for a surprise 50th birthday party a few weeks ago. Scott did such a GREAT job. The dance floor was never empty. I truly believe that the music is why the birthday party was so much fun! Scott was there a few hours before we even got there to set up. He asked us if we needed any help decorating or if he could help in anyway. He made sure everything went smoothly for the intro of the “birthday girl”. He read the crowds music type and made sure people were dancing! He really went over and beyond!!! He did a great job communicating with us before the party and so sweet and easy going! I am so thankful we had Scott as our DJ. I will definitely have him for any future parties and recommend him! Scott was so easy to work with, from the very first phone call we had right up to the day of our wedding. He made sure we got exactly what we wanted and listened to us every step of the way. He kept the party going throughout the night playing songs we had asked him to along with other great hits really vibing off the dance floor. The cocktail/dinner hour music was on point too. All in all great experience and would recommend using Scott! 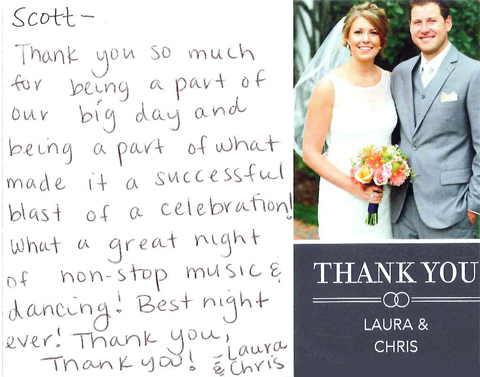 We have used Scott as a DJ for many years in a variety of venues. He has always done an outstanding job and comes highly recommended!!! Scott was truly amazing and took away all of our stress. A DJ is something/someone that we never really had to worry about about because Scott and his entertainment group took such great care of us. A week before our wedding Scott called and let us plan the evening ourselves and gave us advice on anything we had questions on. We would highly recommend, Scott Arnett! Scott was amazing to work with from beginning to end! He was organized and on top of everything from planning, to set up and timing on the day of the wedding. We had two different vocalists for our wedding and Scott was so flexible with working with them both to get their music ahead of time and making sure it would work before our wedding day. He also set up a time on the day of the wedding to do a mic-check and ‘run through’ with my cousin who sang during our ceremony. Not only was he on top of planning, but the night of the wedding was absolutely perfect! He kept everything rolling smoothly from start to finish. We still have guests commenting on the night because the dance floor was NEVER empty! Thanks to Scott, our wedding was a night to remember. Not just for us, but for our guests too! We would HIGHLY recommend using Scott as your DJ! Scott did a great job at my sister’s wedding! For my matron of honor speech, he went ABOVE AND BEYOND to help me find sound and music clips I needed for my speech! We had it all planned out, and he helped me make it so memorable for my sister. Also, he was killer with the song choices and song requests! Highly highly HIGHLY recommend him! Thanks again, Scott! We had a great time, the music was perfect, everyone was dancing, I highly recommend! Very professional. 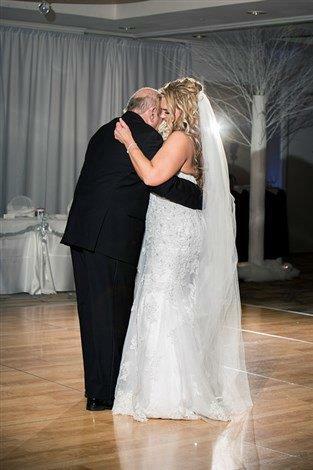 Scott Arnett was one of the best parts of my wedding hands down! Beginning the process of planning a wedding was unbelievably stressful, I was looking around for DJ’s who just didn’t fit my needs, then I stumbled across Scott. Unlike other DJ’s Scott was quick with his response. He was willing to answer any questions I had for him, and went above and beyond with details. You can tell by just a short conversation that he knows exactly what he is doing. Scott was very organized and made sure everything was up to mine and my husbands expectations (and beyond). During the wedding day he was so much fun, played everything I wanted him to play and kept a large crowd on the dance floor the whole night. He knows how to please all age groups! A week after the wedding my husband and I were talking about what our best decision was with the wedding, we both said having Scott as our DJ right away. I’m not one to write reviews but he truly deserves one. 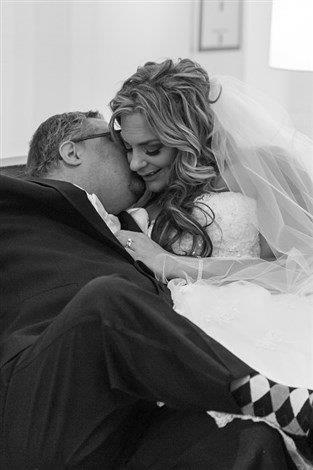 Couldn’t imagine our wedding day without him! Scott Arnett was the DJ at our wedding and reception and it was everything we’d hoped for! Scott was personable and made us feel comfortable with him. He was creative and made everyone feel like they were part of the celebration. He had everyone from age 2 to 90 dancing and was awesome when one of the kids kept trying to hang out at the booth- he is great with kids! We’ve already had 3 guests ask us for his information and at least 50 guests told us it was the best wedding they’d ever been to (And the DJ is always a big part of that)! Honestly, you can’t go wrong and I’d hire him again without thinking twice. To prepare, Scott had us fill out a form for all the details and then he called us a few days before the wedding to follow up with us and make sure he got everything perfect. He checked for pronunciation and timeline to make sure he gave us a perfect night. He was professional and friendly, best DJ ever! Scott did an amazing job!! He played music for everyone and kept the party going! He knew when it was time to change up the music based on how my guests were responding. I couldn’t have asked for a better DJ! Thank you again Scott for helping make our day amazing!!!! Scott was great. He helped me plan a joke on my wife for our first song, played songs we thought were fun, and really engaged our guests. He walked away from the DJ stand many times and was in our crowd. Everyone thought he was amazing and had a great time with him. Scott asked the right questions, showed up early, and everything looked and sounded flawless. I wouldn’t have changed a single thing – I’m confident he could run any wedding better than almost any other DJ on the market. I really couldn’t imagine there being a better DJ out there than Scott. He kept the dance floor packed all night long. Would highly recommend him to anyone. Awesome DJ! Kept the dance floor hoppin all night! Definitely would recommend. Scott did an incredible performance at our wedding! He made sure the dance floor was full at all times, and was flexible on the day of to any additions or changes we had requested. Highly recommend him for any event! Fantastic experience at our wedding thanks to Scott! Would recommend him to anyone looking for a DJ! We had an absolutely amazing night with Scott. He kept things flowing and the dance floor hopping. We would highly recommend him to anyone who is looking for an amazing DJ! Scott was our DJ for my wedding this past weekend and WOW is all I can say. I have never seen so many people out on a dance floor at a wedding before. He had my friends all the way up to my grandparents closing down the dance floor at midnight (i’m not kidding, the dance floor was still packed at last song)! I can’t even count how many times I heard “your DJ is so good!”. His MC skills are amazing and made our wedding ceremony + reception experiences incredible. He really ran the show & made our night so special. I can not recommend him enough. He is extremely talented and professional. Scott was AMAZING!!! My now wife and I used him for both our ceremony and reception. First I’ll begin with the ceremony, we got married in a darker room, so we ordered uplighting from Scott. He knew exactly what colors to use to really brighten up the space and make it an amazing ceremony space! Now on to the reception!!! From the moment our wedding party entered the reception to the moment we ended the reception, I heard nothing but COMPLIMENTS from our guests about how amazing our DJ was! He truly had the best MC skills I have ever heard at a wedding. The dance floor was FULL the entire night!!!! We never worried about what music he was playing and if he was unsure if he should play it he was prompt and asked either my wife and I! Words really cannot describe the service we received from him and the fun that he gave the whole wedding. Honestly, I cannot thank the man enough for how special he made our day! Thanks Scott!!! I hope that if you’re looking for a DJ, pick him, he is 150% worth every damn penny!!! Scott was more than I had expected, we are beyond pleased with not only his dj skills, but his up lighting work. He was understanding and excepting of my last minute changes and keep everyone dancing until the very last song. Scott had everything handled and covered, it was very stress free! Would highly recommend DJ Scott for any event! Our experience with DJ Scott was beyond our expectations. We had a wonderful night, he does a great job making everything run smoothly. We appreciate his service. Scott was amazing! He was professional, organized, paid attention to detail, was able to read the crowd and overall just super helpful! I would highly highly highly recommend him! Scott was the best DJ. From our ceremony to the reception, he did an amazing job. 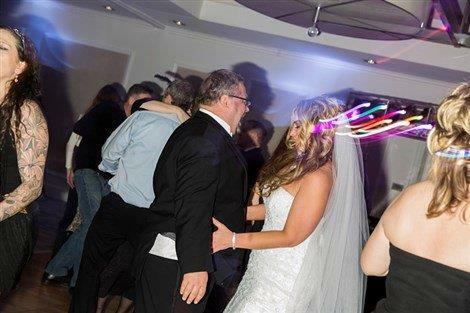 He had the dance floor packed the whole time and listened to guest’s requests. He was super easy to get a hold of and answered any questions that we had throughout the process. Scott did everything to make sure that we had a great time along with our guests. I have been and will continue to recommend him to everyone! Thank you! Thank you! Thank you! From the planning stages you have been so helpful, very quick to respond and very professional! DJ Scott Arnett was a hit at my reception! He did a fantastic job! I hope to work with you all again someday! Scott Arnett was great! He made our night very special and kept the party hopping until the very last minute!! 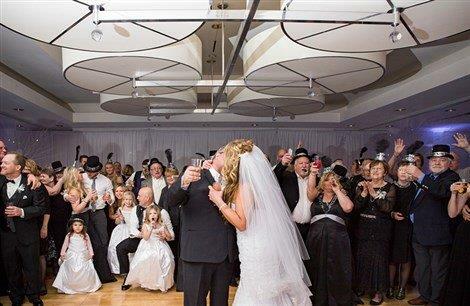 I loved that my guests were still rocking the dance floor until they turned the lights on! Highly recommend you guys to anyone planning a party! Thank you! About 225 Guests at the Doubletree Riverfront Hotel & Conference. Lauren B. and Bryan S.
We had searched for a while for a DJ that could get a good grasp on our music preferences, with no luck. We felt a little lost since our reception was more party than tradition. Scott Arnett was suggested and immediately we clicked. He understood everything we were trying to do with our unique selections and embraced the non-traditional layout of our event. We got everything we asked for and more. Scott was fantastic and a must use for any excellent party! Holly – Milestone Barn with over 100 guests! Sorry it took me so long-my review for Wedding Wire is complete and attached are a couple photos feel free to post any and all if you choose. Thank you again for everything! It was truly the wedding of my dreams and DJ Scott Arnett played a big part of that with exceptional music for both the ceremony and reception! We were absolutely amazed with the wonderful service we received from Rusch Entertainment for our wedding! Corey was a pleasure to work with during the entire planning process, and we couldn’t be happier with our choice in DJ Scott Arnett! He was hands down, the best investment for our wedding! He setup all the music and sound equipment for our ceremony and was a hit at our reception! Scott had people on the dance floor until the lights literally came on at the end of the night! We received countless compliments on how awesome he was! Our dance floor was jam-packed with guests all night thanks to Scott! People loved him so much we’ve been handing out Rusch Entertainment’s contact info ever since our wedding! You guys truly made our night unforgettable, we cannot thank you enough! Simply the best DJ/Entertainment service out there. I have been to numerous weddings that have had Rusch entertainment and every time it has been top notch service. So, when planning our wedding this past year it was a easy decision who we were going to use as our dj service. We had Scott Arnet who was super friendly, outgoing, and most importantly helpful, and knowledgeable. You can tell he has been doing weddings for years. He was always one step ahead and had the dance floor packed all night. We received numerous compliments on the dj and music and was beyond happy with the service. Hi Dean – Scott A. did an awesome job for us! The dance floor was packed almost the entire night and we got a lot of compliments on how well he kept the energy up. My mom and I have seen thousands of weddings while working at Eagle Eye Golf Club in East Lansing over the years and Scott was probably one of the best DJ’s we have seen. Thanks again for setting us up with him! If you want a great DJ, look no further than Rusch Entertainment! At my daughter’s reception this past weekend, we had Scott Arnett from Rusch Entertainment. I can’t say enough about the awesome job he did. Scott was very professional and “played to the guests”. Everyone has commented on what a great job he did from introducing everyone to keeping the party going. Five stars from me! We had DJ Scott Arnett for our wedding, and he was awesome! 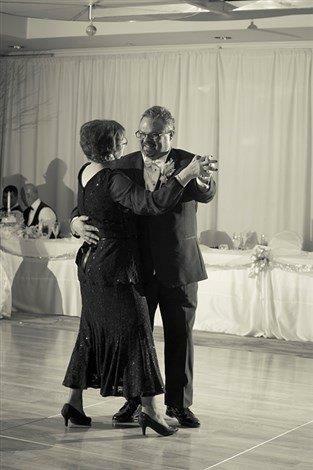 He did everything I asked and knew exactly how to keep the people on the dance floor and the party going. Rusch may seem a little more pricey than other DJ services out there, but they are the best! And if you want a fun party, don’t skimp on the DJ! Everything went very well with the DJ, Scott Arnett and the violinist, Tammy! My husband said the best DJ ever!! They did a great job and I was so happy when they played all the songs we requested! Awesome job!! The music was so much better in Michigan than AZ!!! 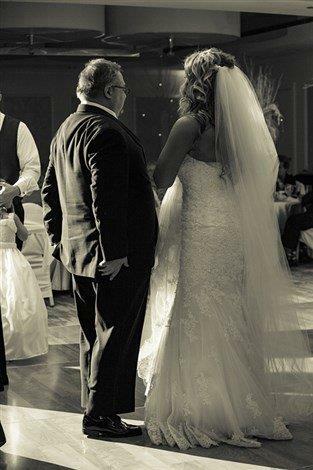 I am so thankful you provided a DJ who are all about what the bride/groom and her family/friends want to hear! It was awesome! Glad the two weddings are done and I am also glad I don’t have any more children to plan weddings for! Two Receptions: One in Michigan and on in Arizona within one month. I cannot say enough positive things about Rusch Entertainment and Scott Arnett who was our DJ! Our wedding reception was held in the Knight’s Castle at Castle Farms. From the time that we booked Rusch Entertainment for our reception I was so impressed by all the staff I communicated with. Scott was through when he called me to discuss the playlist and time line of events for our reception. He wanted to make sure that everything was just as my husband and I wanted it. When my husband and I met Scott the day of our reception he was kind and had a positive energy about him. The introductions of the wedding party was perfect and set the atmosphere for the night. He did a fantastic job by inviting all couples out onto the dance floor for the first dance following the father/daughter and mother/son dances. 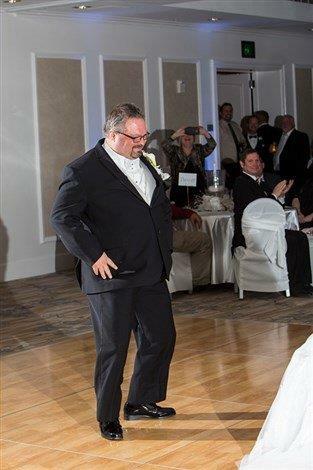 From that time on the dance floor at our reception was packed and he kept the energy high. We received SO many compliments about Scott. People kept telling us how awesome he was and his music selection was the perfect mix of different genres. He was fun and again made sure everything was just as my husband and I wanted it. I cannot thank Rusch Entertainment and Scott enough for doing such a fantastic job at our wedding! I would highly recommend Rusch Entertainment and Scott Arnett to another bride! Thank you for being a part of our wedding day and helping to make it even more perfect! Scott Arnett was a great DJ for my daughter Ashley’s wedding reception. He even helped my husband and I out with final preparations getting the hall ready for the guests arrival. We were very satisfied with Rusch Entertainment and will recommend you to our friends and family. Thank you Scott Arnett for an amazing night-September 19, 2014. It was great experience Working with Scott. He is fun and personable. He helped everything run smoothly. I had a blast dancing the night away. Thank you for everything! My best friend used Rusch Entertainment in 2010 for her wedding (The Great Hall Midland), which was fantastic, so I book Rusch Entertainment again for my wedding this month (Holiday Inn of Midland)! I asked for Scott Arnett – the same DJ from my friend’s wedding – and was also given a discount for taking the referral from my friend’s wedding! We booked both our DJ and photo booth through Rusch Entertainment, and everyone loved the photobooth (who even made us a scrapbook with all the photos), and Scott kept everyone dancing all night long! He picked up on our personalities so well, we had some Disney details in our reception so for the first song of the reception he played “Be Our Guest”! After seeing the groom’s cake (my husband’s college symbol), he even played the college’s fight song, which my husband and all of the groomsmen LOVED! Scott was so fantastic, read the crowd perfectly, and everyone had a great time! I would HIGHLY HIGHLY HIGHLY recommend Scott Arnett and Rusch Entertainment! Scott Arnett was absolutely amazing! He was extremely attentive to our needs and made sure that everyone had a great time. I would highly recommend him for any event! Thank you, thank you, thank you for helping to make our wedding day and absolute success! Our DJ Scott Arnett was amazing!!! We loved working with him. He was fun, energetic and very flexible. He had my guests dancing all the way until the end of our reception. Thanks!! DJ Scott Arnett was an amazing choice! So professional and accommodating. Thank you!! I can honestly say that my dj (Scott) was the best part of my wedding!! 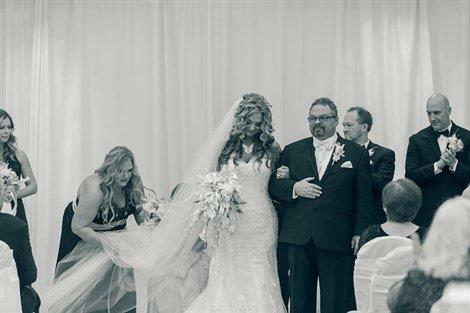 He was 100% professional and organized, helping everyone, including my husband and I, know what to do every step of the way during both the ceremony and the reception. Starting out wedding planning, I didn’t think I would be able to afford a dj from this company (we had a very tight budget), but the prices were reasonable, and they even gave a military discount! He did a great job with the song choices, and keeping the dance floor full from the start of the wedding until the lights came on. I can now fully see the difference a great DJ makes, and I will be referring my friends and family to use Scott from Rusch for all of their events. If you book him, I promise you won’t be sorry! We had Scott for the DJ at our wedding and he was phenomenal! He helped us keep a good schedule of the night’s events and was always willing to make changes. He was extremely flexible and very energetic. All of our guests who we have spoken to since our wedding raved about how great he was and how the music for the night was perfect! Thank you Scott for making our night AMAZING! Lindsay and I want to thank Rusch Entertainment for making our wedding day so special. Scott Arnett was outstanding and got everyone dancing. We couldnt be happier, everyone had a great time. Thanks again. I just wanted to send a compliment Rusch Entertainment’s way, specifically to Scott Arnett!! He was an AMAZING DJ for our wedding yesterday and I had MANY people tell me how great the music was! The dance floor was packed the entire night, literally!! Even after Scott was scheduled to be done and turned off the music there were people yelling for one more song and he graciously agreed to do one more for them!! The whole day was perfect and Scott just added to it and made it THAT much better!! I wasn’t sure who to email to compliment him but I was so happy and wanted to pass it along to someone at Rusch to let Scott and Dean both know how happy we were! Thank you!! I will definitely be recommending Rusch Entertainment and Scott Arnett to anyone I can!! We had Scott Arnett DJ our wedding and would not have changed a thing!!! He was fantastic!!! We had him set up outside for our outdoor ceremony and it started raining and he continued playing the music without hesitation! When we arrived back to the country club, to our surprise, he set up blue and purple back lighting which looked amazing!!!! I would highly recommend Scott to anybody looking to have a smooth and fantastic reception!! Thank you again Rusch Entertainment for helping make our reception flawless!!!! Scott, You did such an amazing job. Friends of ours that recently got married said that our wedding was more fun than theirs! That says a lot. Everyone complimented us on how wonderful the DJ was. The dance floor was full all night long, you made the party better than anticipated. When Dean told me how good you were, I was expecting a lot. You went above and beyond my expectations. We had DJ Scott Arnett at our wedding reception. He did such a great job not only as a DJ, but also as an MC. He kept the entire reception running smoothly. He played the perfect mix of music to have the dance floor packed all night. 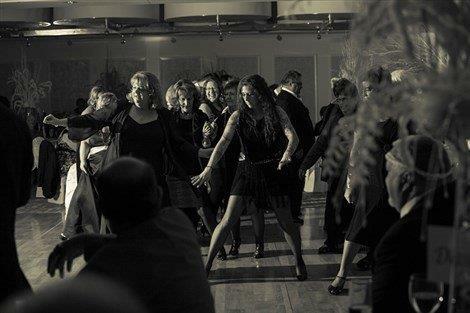 We received so many compliments from everyone on how they’ve never seen the dance floor so full at weddings. We were so happy with him that I’d recommend him to anyone!